WDS Design Group specializes on web development of multifunctional information systems, related to creation of website design according to the company's needs. Highly creative webdesign and web development. Choice of the most reliable web host companies. Professional logo and corporate identity development. 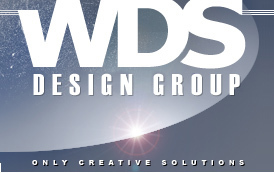 Solutions, provided by WDS Design Group are designed for modern corporations, companies and small businesses, which plan to expand their market to the Internet and provide their clients with useful, reliable website. Please, take a look at our portfolio. For years of work throughout the world, we've acquired experience that will be needed to create a useful, attractive and professional website. All this comes with support and reasonable prices. We at WDS Design Group are committed to providing our clients with the most professional and specialized solutions they can get. More than that, we strive to each and every time give our clients the most for their investment. With the quality of our work, you can be assured that we will give you one of the lowest prices on the market, which we can provide since our headquarters are located in Europe. That allows us to bring in fresh ideas and top programming at prices, much lower than in US. But you want to make sure that we will be always there for you, when you need us. Well, that's why we have an office in US, where you can call any day of the week and get answers right away. You can rely on our care for you 100%, all the way till you're completely satisfied with the project. We can help you make a successful investment in your company's growth on the World Wide Web, you can be sure that your web project will be in reliable and caring hands of our specialists. But how can we help you exactly? As discussed above, we are able to provide you with lowest prices on US market today, and we never were and never will compromise on quality. WDS Design Group is able to tap a vast pool of specialized technical labor much cheaper than it is possible in other places. Our team includes specialists, well-trained in their respective fields that work together under the guidance of experienced project managers in order to deliver the best solution to your project. Poor communication process is sometimes regarded as one of the main shortcomings of working with companies that have their HQ in a different country. It may be certainly true for some of the companies, but not for WDS Design Group. We do understand that effective communication with a client is essential to clear understanding of his/her needs and therefore to delivering the service that would satisfy our client expectations. We use all means of modern technology to keep communication on the highest level. Most of our communication is done through phone and emails, and if the client needs it, our representative can meet him/her in person. We are always there for our clients, whatever concerns or questions they might have. WDS Design Group aims at maintaining its good name and high quality of its work. We are proud of the projects that we've already accomplished, and are always open for new ideas and ways of improving our client's business. Our main goal is to make your business successful; we believe that's the only way that will benefit both us and our client. Have you just opened a new business? Get a whole set of services, including a website for a low price! Corporate Identity Package renew or create a new look for your company! It has everything you will ever need  even FREE website design and web-hosting! Get a project for $2500 or more, and we will throw in a free business web hosting service and domain name registration for a one full year for you!.. Order a price quote now!..